A celebration of the lighter side of the season. 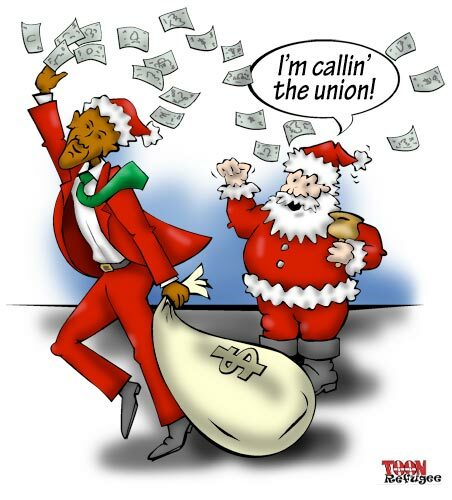 The Eighth Cartoon of Christmas: Maybe the Republicans are right that government involvement in the private sector always turns out bad or perhaps it’s an insidious right-wing plot to break the elves union. 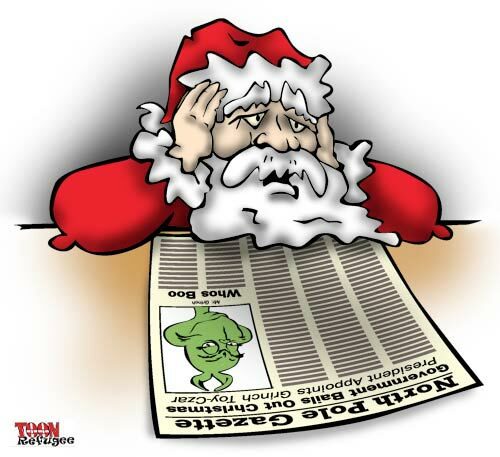 Whatever the case, let’s all hope the Grinch has another Christmas Eve change of heart! 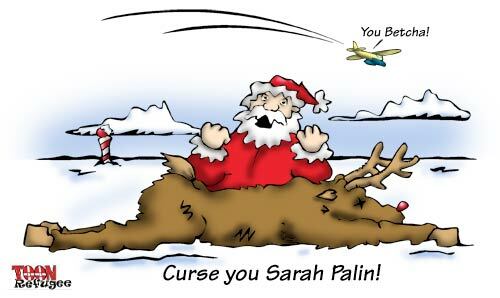 In Governor Palin’s defense, she claims she was hunting Democrats! 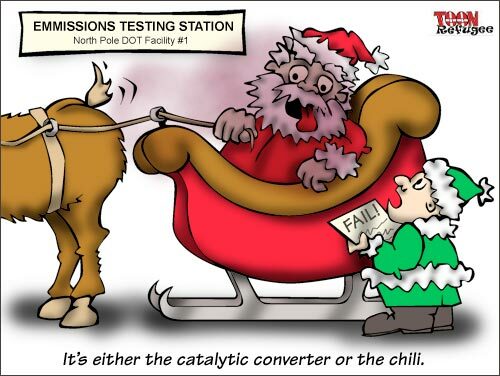 With the Sixth Cartoon of Christmas, I’m right on schedule to complete this year’s cycle. Word out of the North Pole is that things haven’t gone as smoothly there. But don’t worry kids, I’m sure Santa and the elves will have things worked out in time for Christmas. Looking for a unique gift for someone special? Feel free to leave a comment and add the contact information for your own local arts group. With the economy in the tank, Santa’s gift bag has got to be feeling pretty empty. Meanwhile President-elect Obama is promising bail-outs, stimulus plans and infrastructure projects. 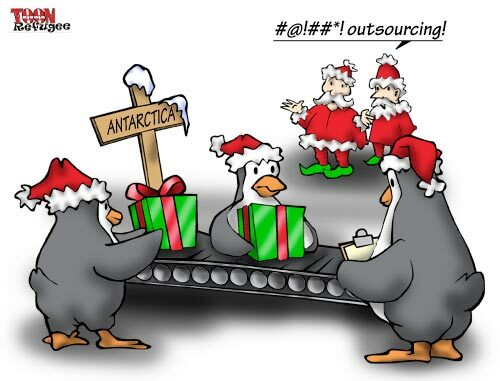 Santa’s got to be wondering if he’s being outsourced to the Democrats! 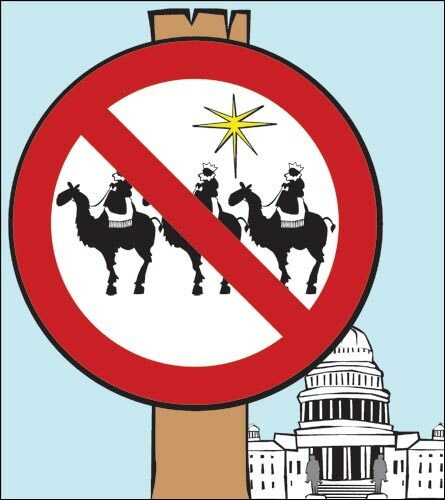 We begin our seasonal mirth with the fond hope that this sign – which has apparently been displayed at the Washington city limits for the last eight years – will finally be removed after the holidays. 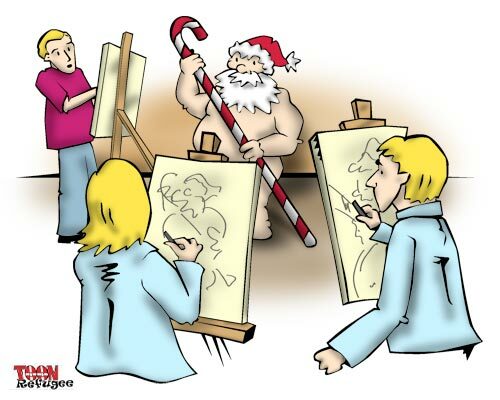 About the Twelve Cartoons of Christmas: In what has become a Christmas tradition for me, each year I challenge myself to come up with twelve Christmas cartoons beginning on December 1 and ending with a Christmas card to my readers on December 25. Most of my ideas so far focus on politics and the economy – not the most cheerful subjects. So if you’ve got an idea, just leave a comment below and maybe I’ll use it (and give you full recognition, of course).